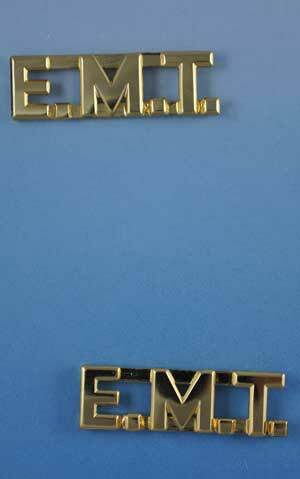 E.M.T. letter pins are sold in pairs. The size is 1/2" high. they are used with traditional clutch back attachment to hold in place on uniform lapel shirts. Check out our quantity discounts to keep your whole staff identical and professional.